What's the Best Tattoo for Your Zodiac Sign? Your tattoo needs to be something that isn't just reflective of a current obsession, but rather, something that is inherently part of who you are -- something that is just you. We tapped New Orleans-based psychic, astrologist and medium Cari Roy to figure out what kind of tattoos best suit each zodiac sign. 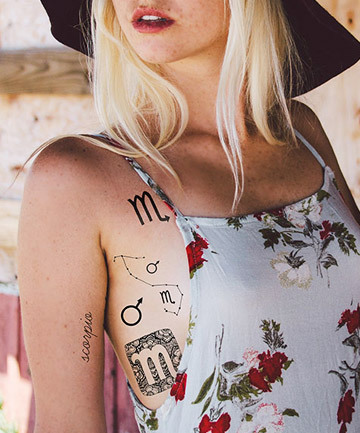 Even if you don't believe in horoscopes, prepare to be starry-eyed over these oh-so-pretty zodiac-inspired tattoos.